Definition - What does One-Legged Prayer Pose mean? One-legged prayer pose is a basic balancing posture that merges tree pose with prayer pose. 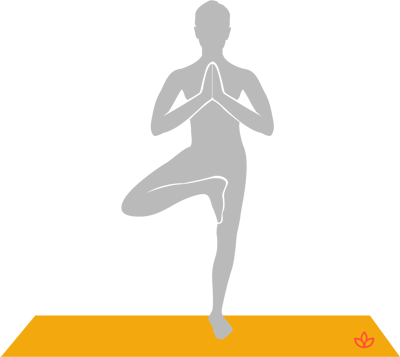 To practice, the yogi stands in tree pose, balancing on one leg with the sole of the other foot resting on the inner thigh of the balancing leg. The yogi then places the hands at heart center in prayer position with the fingers pointing to the sky. This posture is known in Sanskrit as eka pada pranamasana. In English, it is also sometimes called one-legged salutation pose. Yogis with leg, ankle, knee or foot injuries should skip this pose. Beginners may practice one-legged prayer pose without the hands in prayer position until they are comfortable with their balance, then add the prayer hands.